Look out, telcos, VoIP is coming for you. 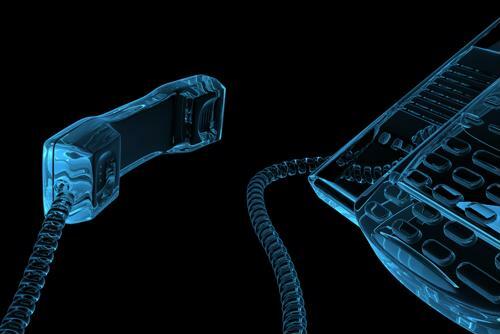 There's a killer out there, and its name is VoIP. The system has already claimed the lives of millions of business telephone systems in almost every country across the world, and it is projected to take out even more. First it seduces organizations with its long list of productivity-boosting features, convenience and low price tag, then it strikes. Before you know it, copper-wire communication infrastructures will be completely extinct, and VoIP phones will dance on their graves while employees audio conference with unparalleled ease of access. This was the opinion of one cloud telephony expert, Marco Fiorentino, who recently told Mobile News, "We think that fixed-lines will be around for some time, but there is no question that there is going to be a slow substitution of traditional fixed-line or voice calls on mobile with this type of application. But it's going to be a very long process." His timeline for this not-so-violent takeover? Ten to 15 years. According to Fiorentino, copper wires won't be VoIP's only victim: Phone numbers may wind up dead too. Instead, cloud-based telephones could be reached by a custom URL, where people can call and message from their PC, smartphone or tablet with the touch of a button. One of VoIP's known accomplices, the video call, is also on the rise. While they probably won't completely replace voice-only conversations, there's no doubt the future of telecommunications will be rife with videoconferences. The two systems are part of a gang widely feared far and wide by fixed-line phones, known as the Unified Communication Solutionz. Businesses can't resist the way this team of towering technology connects them both within themselves and with their clients. No known force on earth has proven to be able to stop them. Telco companies, beware: Killer VoIP is coming for you, and one day, everyone will be calling each other over the Internet. Consider yourselves warned.